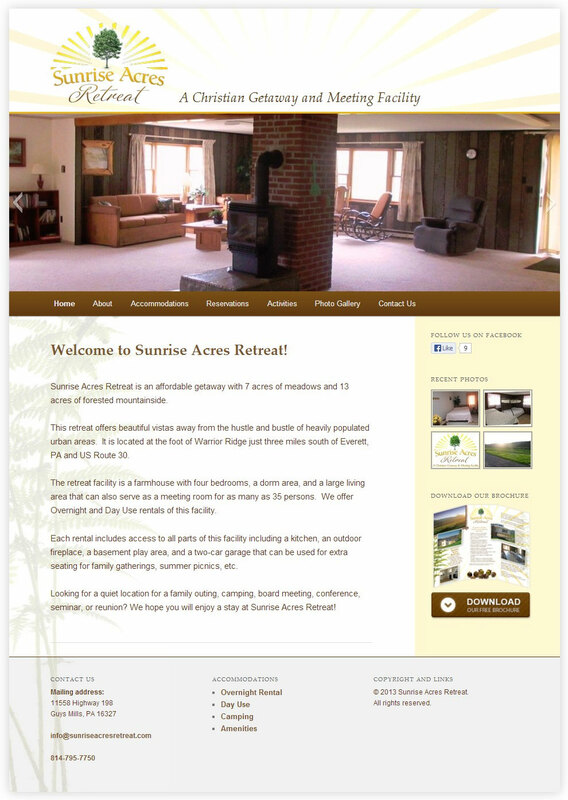 Ernest Eby approached me about doing a website for a Christian retreat facility he and his wife are launching. He wanted a simple but attractive website with the option to add and update content himself. The site is built on WordPress and integrates slideshows, photo galleries, a detailed contact form, and an availability calendar. Joe Ebersole of Illustra Graphics designed the logo and brochure and provided valuable feedback and assistance with graphic source files.